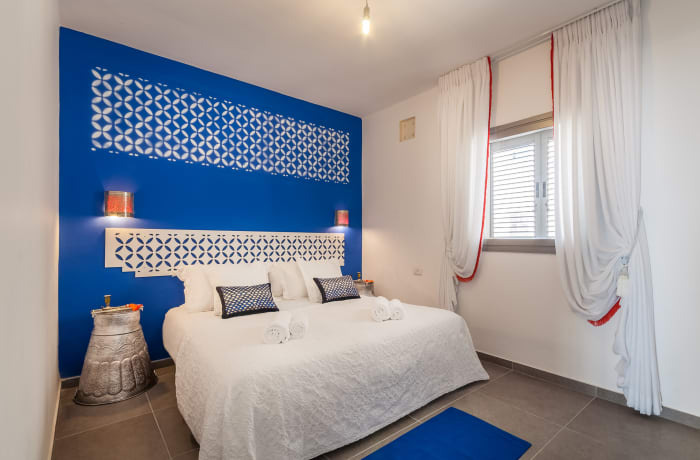 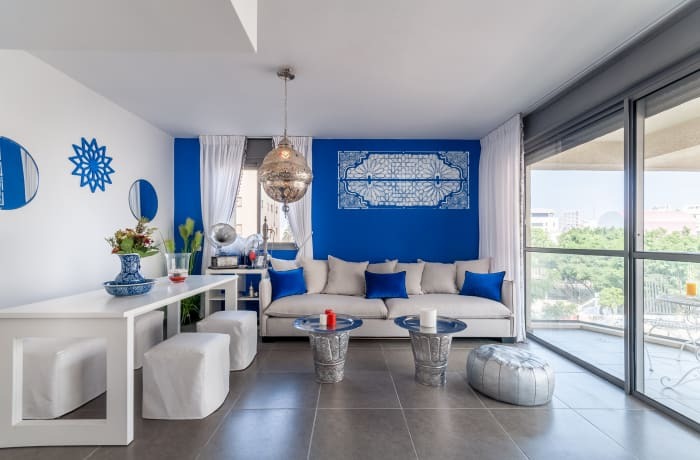 Surrounded by galleries, street art, and fresh Mediterranean fare, the 2-bedroom Kalischer vacation apartment in Tel Aviv is a treat for the senses. 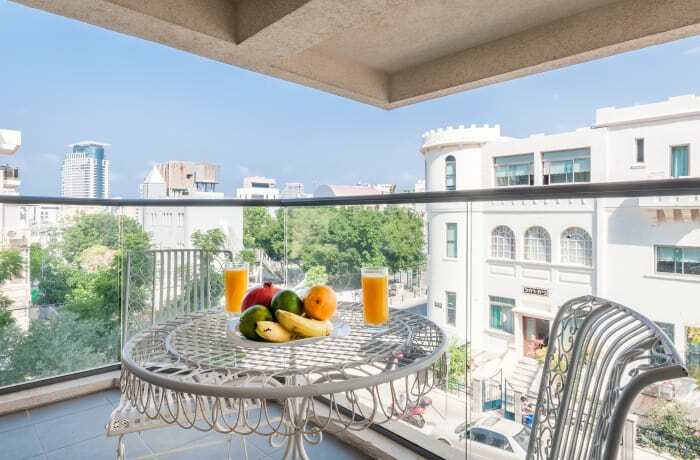 Located near the vibrant Carmel Market (5-minute walk), where vendors hawk local delicacies, fresh produce, and art, the apartment is also walking distance from many of the city’s historical sites and museums. 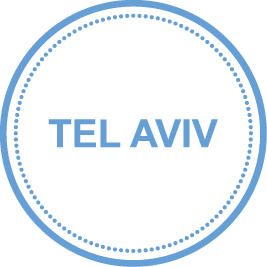 Stroll down to the sunny Tel Aviv beaches (7 minutes) or the Charles Clore Park (10 minutes) to enjoy the stunning view of the water by sunset. 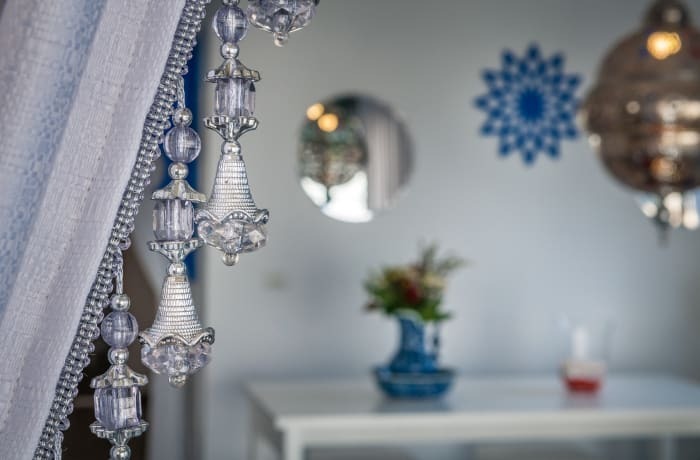 Our local interior designer has filled this newly renovated space with colorful accents and funky ethnic decor.The sunlit patio and modern kitchen will make you feel at home. 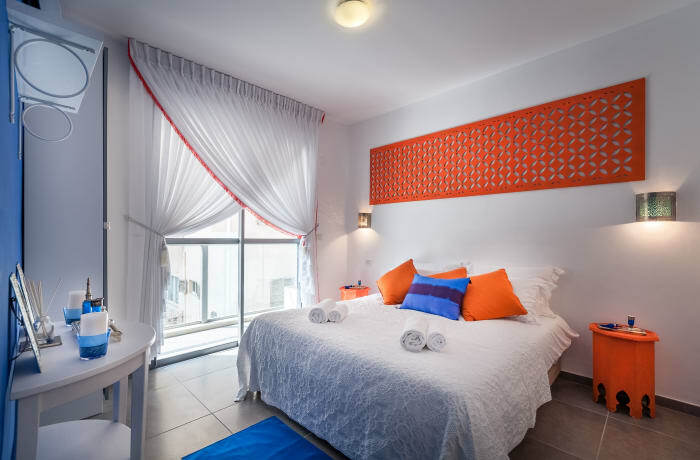 Two spacious bedrooms and a sofa bed accommodate up to 6 guests. 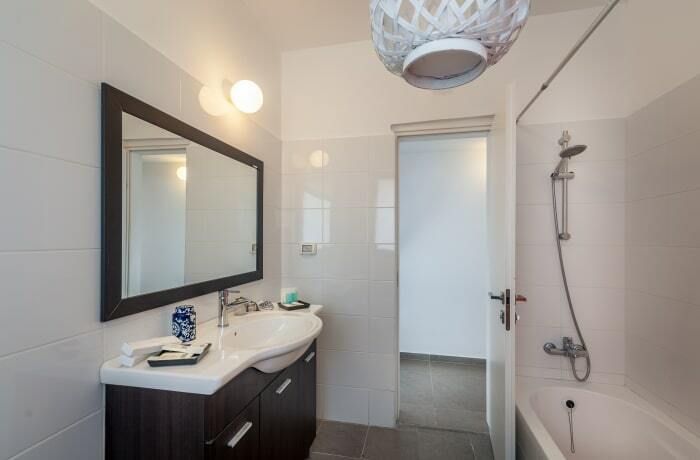 Premium amenities include free WiFi, cable TV, a Nespresso machine, hotel sheets, and high-end toiletries. 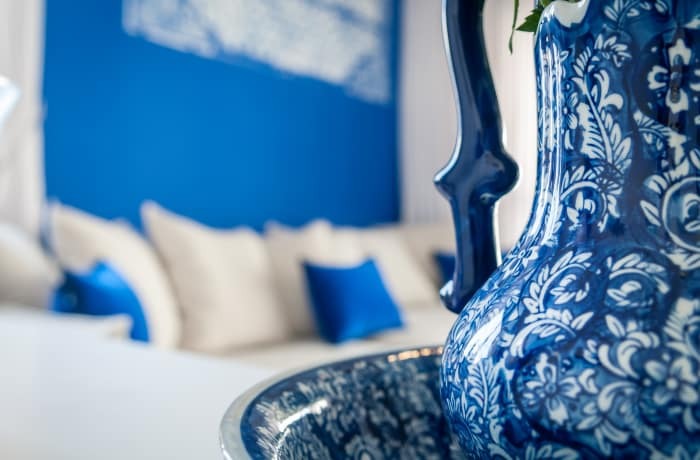 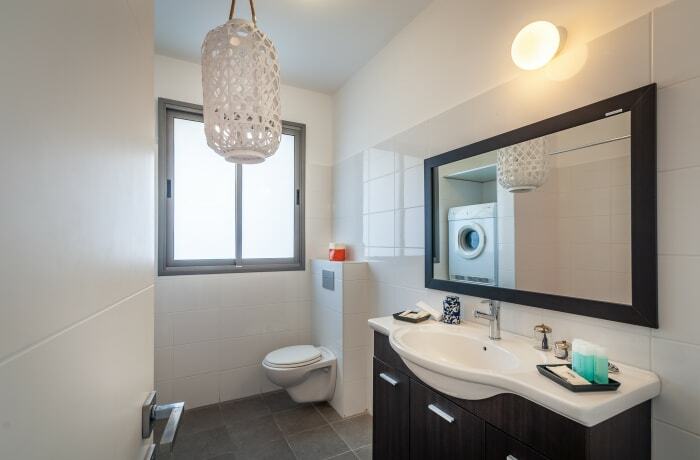 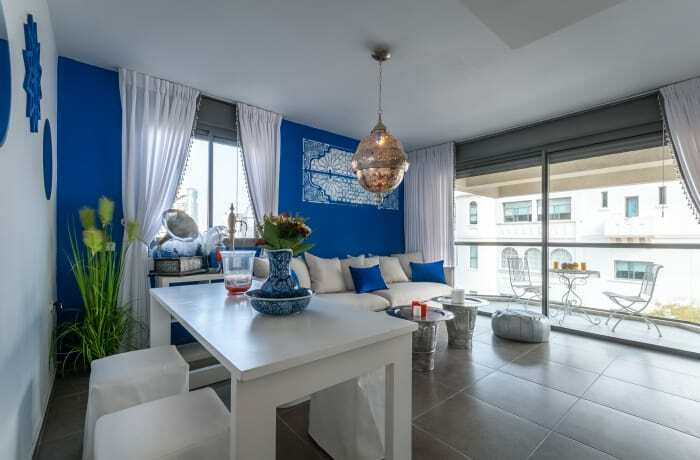 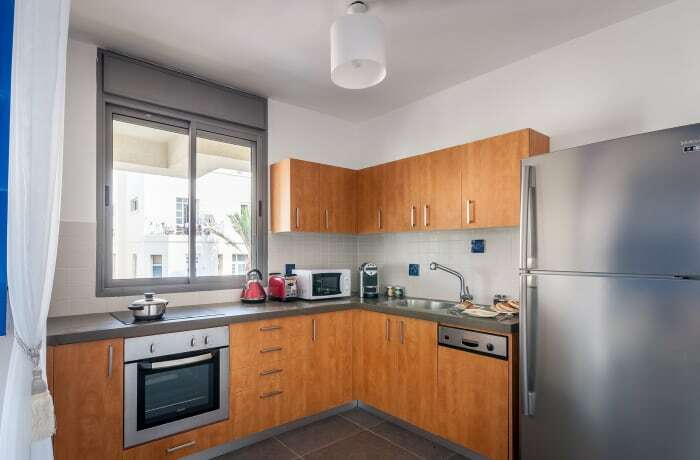 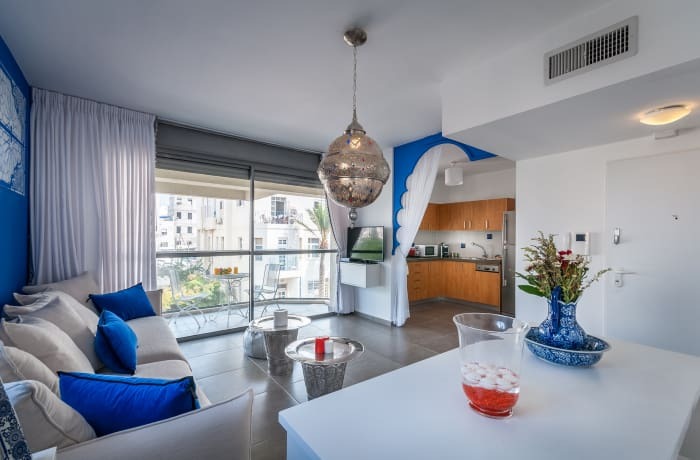 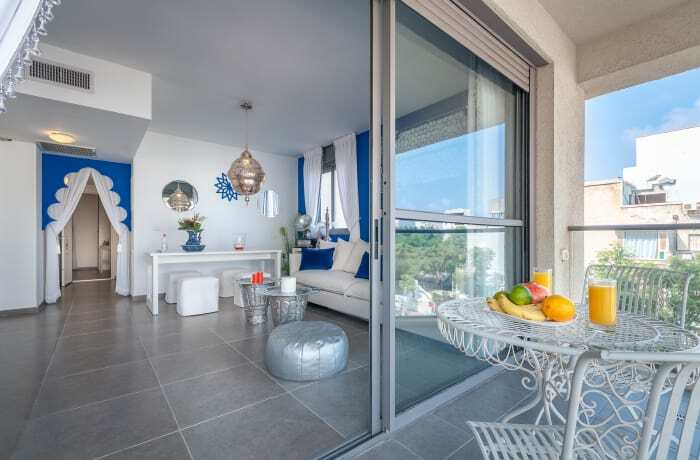 Whether hitting the beaches, exploring the hidden neighborhoods of Tel Aviv, or taking in the sights and smells of the market, this apartment is just right for groups or families.